The CIA Exam Has Changed. The English version of the CIA Exam has been updated, are you sitting for another language? Apply for the 20% off student discount! Our smart course is powered by adaptive technology that prepares a learning path specifically for you while delivering tools and quizzes designed to help you study more effectively. All this is enhanced with detailed visual analytics and includes your interactive Study Planner, exam-emulating quizzes, and the Gleim digital book, and more. Our renowned bank of multiple-choice questions is the most refined collection of sample problems available on the market. Practice from thousands of questions that emulate the exam environment and provide our signature detailed answer explanations for both incorrect and correct answer choices. Put your mind at ease with our no-hassle guarantee that ensure your materials stay current throughout your studies. Our books are broken up into small, comprehensible lessons for maximum retention and contain comprehensive outlines and examples. Study from our highly acclaimed CIA exam video series featuring lectures by professional educators. The lectures are the first of their kind and present in-depth instruction, guiding candidates through comprehensive examples, past CIA exam questions, and the most important topics from The IIA’s Exam Syllabus. You will not be alone when preparing for the CIA exam! Receive customized assistance from your very own exam mentor who offers consistent encouragement, empathy, and direction on your journey to becoming a CIA. Gleim Personal Counselors are here when you need them! Get exclusive access to our team of accounting experts who are available to answer any questions about the materials in the course. 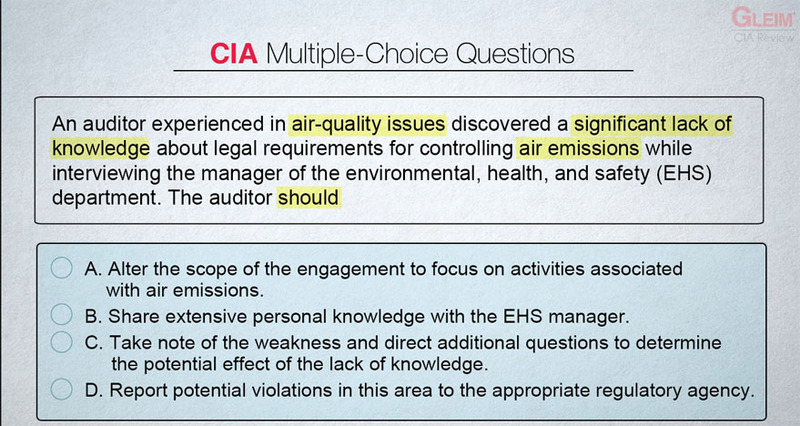 Our exam-day emulating software accurately reflects the look and feel of the CIA exam so you can take the CIA exam without actually taking it. Pass with the smartest and most trusted CIA Exam Prep! You will get all the above features and materials but only pertaining to the Part 1 section of the exam. You will get all the above features and materials but only pertaining to the Part 2 section of the exam. You will get all the above features and materials but only pertaining to the Part 3 section of the exam. 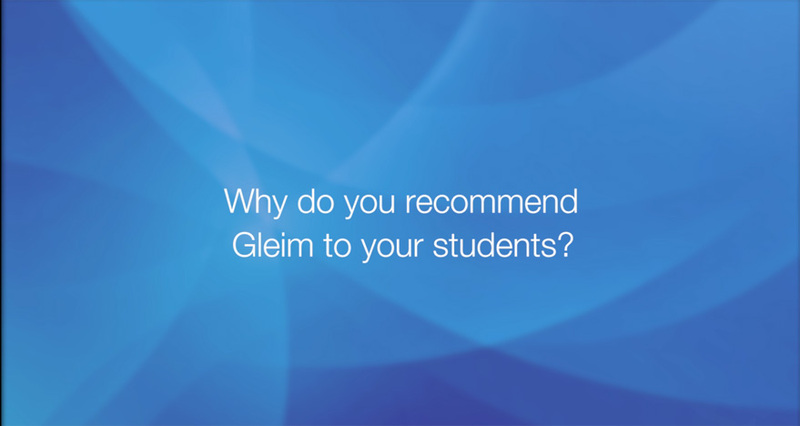 As long as you are preparing for and taking the CIA exam section(s) for which you purchased the Gleim Premium CIA Review System, we will ensure that you have Access Until You Pass®. Your electronic material will update automatically when new editions are released and when content revisions are made. In addition, we’ll ship you the new edition of the book(s) for only the cost of shipping. If you follow the Gleim “suggested steps” detailed in our Premium CIA Review System, are unsuccessful in passing the exam, and are not satisfied with the System, we will refund your purchase price paid for the applicable sections. You must request this refund within 18 months of your purchase. Cost of shipping:The cost of shipping will be quoted to you during the checkout process. You can change your order before placing it to see the cost of shipping for different combinations of products. Because of our high volume of shipping, Gleim receives a discounted rate on shipping services. We pass the discount along to our customers, saving you money.